Have you ever had dreams of moving to a California town, where you befriend a wise old martial arts master who teaches you all about karate by making you wax cars and paint fences? Maybe he could also show you how to cultivate rare bonsai trees and he could fix your bike for you as well. He could even help you win the 1984 All Valley Karate Championship! Okay, so maybe we’ve been watching a little bit too much Karate Kid these days, but how could we not? That movie is a classic and we’ve always wanted to be just like Danny Larusso. 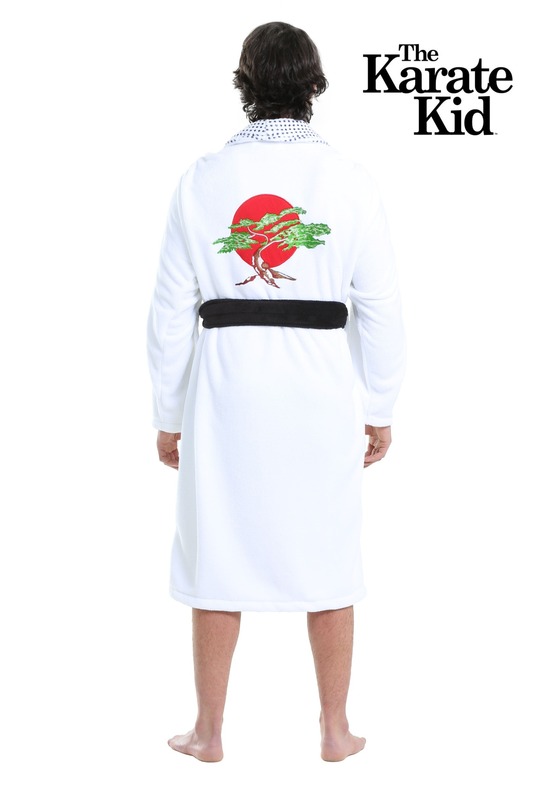 Alas, the chances of us winning the All Valley Karate Championship now are slim to none, but at least we can still feel like champ with this Karate Kid Daniel San Robe. Nothing feels quite as nice as relaxing after a nice, hot bath, especially when you have this robe based on the 1984 film. 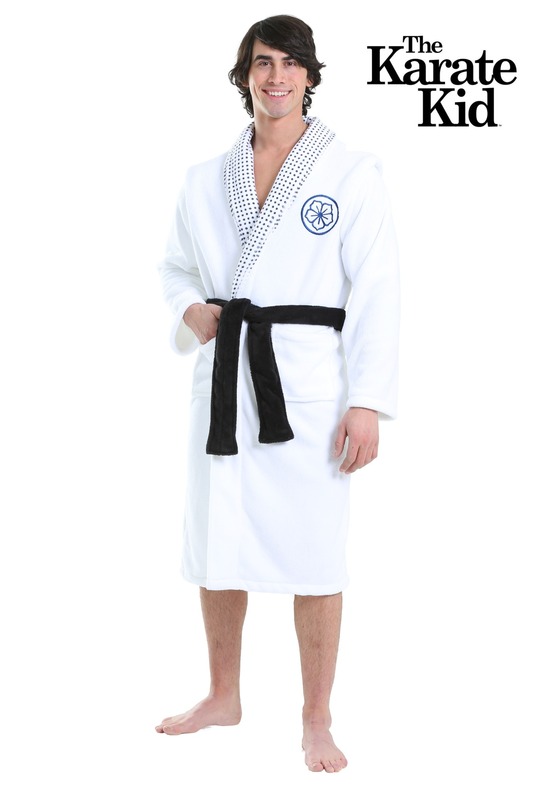 The bathrobe is made out of a microfiber fabric, which means that it’s ultra-soft to the touch. It also has embroidered patches in both the front and the back, including the bonsai tree in the back. If course, the black belt fits around the waist and will make you feel like a true master of the martial arts, even if you just wear it while you lounge around on the couch. We must admit that wearing this robe probably won’t instantly transform you into an enlightened karate master, capable of doing a crane kick that “if do right, no can defense”. It will however, wrap you in warm embrace of nostalgia and microfiber!